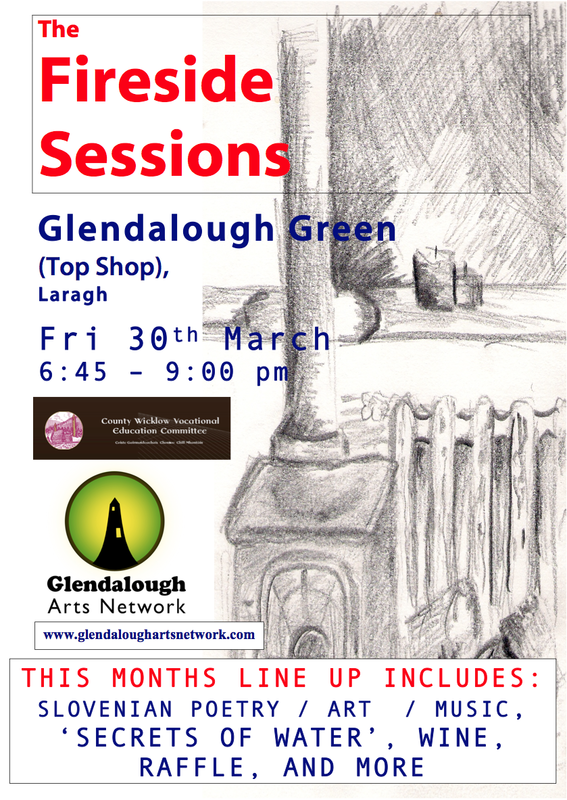 Delighted to confirm this months famous Fireside Sessions will be going ahead this Saturday 30th in Glendalough Green, Laragh. Kick Off 6:45. Mateja Trpin is taking the reins this month and we are looking forward to a slightly Slovenian fell to events. We have been updating the website recently and would like to point you in the direction of our new Audio and Video pages, featuring the product of various screenings and performances from our first year. You can also download our new brochure here. Again we would encourage any of our members to forward any photos, video or audio recorded to this email address – glendaloughartsnetwork@gmail.com. See you all on Friday 30th.